Saturday I had my best race of the year so far in the 'greatest show on snow,' the 39th American Birkebeiner. The race had a deep field with 14 foreigners from Sweeden, Switzerland, Norway, Russia, Canad and Frace joining the Americans at the line. After 5 years of living in the Hayward/Cable area I know the trail perhaps better than any other elite racer and the race really holds a great importance to me. I have gained some wisdom during my first 5 Birkebeiners and focused on conserving my energy for the first half of the race. Two guys broke off the front only 10km into the race and built up a lead of over one minute. It made me pretty nervous to be so far back. I wanted to go to the front of the pack and try to catch the two guys up front but in the past I have worked hard at the front only to have many others sit and draft behind me and out sprint me in the final meters to the finish. I went to the front and made one strong pull for about 3 minutes before drifting back into the pack. It was obvious after my pull that it was way harder to be at the front. At 34 kilometers, two other Americans, Matt Liebsch and Tad Elliott came to the front and I prepared for their attack. Our comfortable pace disappeared and our group of 12 skiers stretched out as everyone tried to hang on. We were flying, in a few minutes we went from not being able to see the leaders to being right next to them. The pace slowed and everyone tried to recover from the attack. At 39 kilometers the trail gains elevation the a series of rolling climbs. About halfway through the climbs Tad Elliot attacked again and this time no one could stay with him. In a matter of seconds he had a gap and things got craze. At some point Matt Liebsch fell into Lars Flora, somehow I just managed to avoid those guys but Tad was off the front. I still felt great and I looked around for someone else int he field who might be able to help me catch Tad. One of the Frenchmen made a few surges and I began to question whether I had the strength to break away from the field. I decided to wait to make my move on the final climb at 45km. At 45km I went to the front and went as hard as I could. I could tell there was one skier right on my tail but I forced myself to not look back. When we made it to the top of the climb I finally looked and saw Lars Flora. I asked him to take a pull, but he said he was spent. I really wanted him to pull, but he had been at the front for most of the race and had certainly done his share of work. I continued to try to push the pace. The pack was only about 20 meters behind. Finally as we entered the final downhill Matt Liebsch pulled through. I rested as best I could behind him. The pack behind us was right there so I came through to make another pull as we skied on to Lake Hayward. After a few minutes I saw that our group of 3 had grown to 6 but we had gaped everyone else. I relaxed and drifted to the back to prepare for the final sprint on Main Street. Everything felt as thous we were in slow motion. We came off the lake on to main street and I went to pass the other skiers. The snow was softer than I expected and my legs screamed as the muscled attempted to cramp and shut down. With only 20m to go I felt myself starting to fall apart and I became worried I might fall. I focused on the image I had rehearsed in my mind so many times before and threw my foot forward. I earned third place by just two tenths of a second. 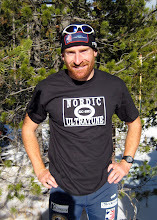 I have spent the last 4 weeks putting in a training block and preparing for the Birkebeiner. Last weekend in Madison I got my beaten pretty bad so it was very good for my confidence to be right in the mix on Saturday. Tomorrow I fly to Germany for 3 weeks of racing in middle Europe. I started saving and planning for this trip last year and am excited for the opportunity to race against the next level up of competition.